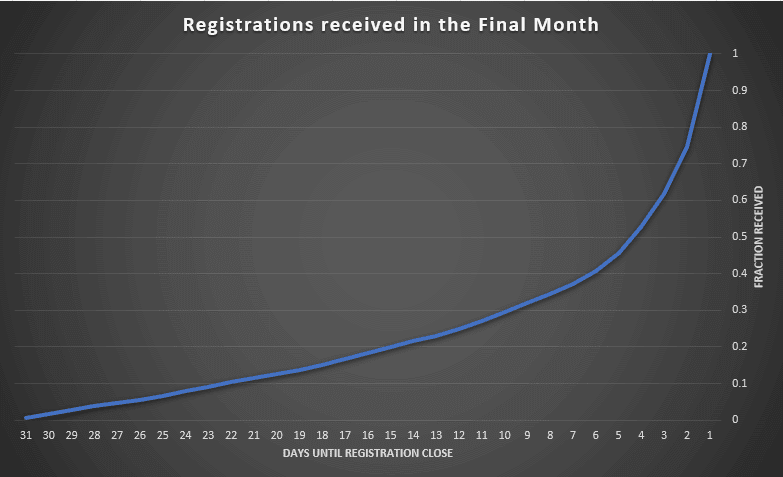 I get asked a few times a year about registration trends, but people mostly just want to see "that graph that shows everyone registers at the last minute." Instead of digging up the powerpoint it was in and forwarding it to someone, I'm posting it HERE so I can never have to search for that file again. 66% come in the final week that reg is open. 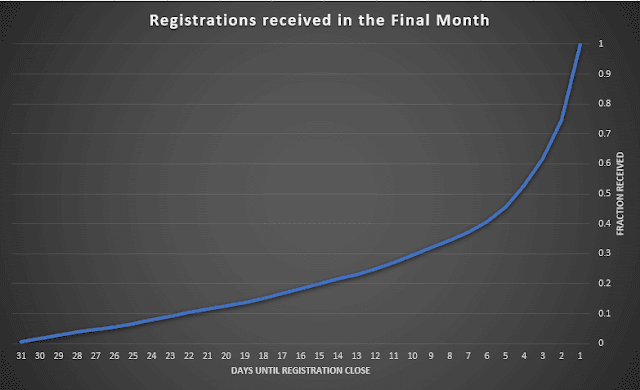 48% come in the final 3 days that reg is open. 25% come in the final day that reg is open.